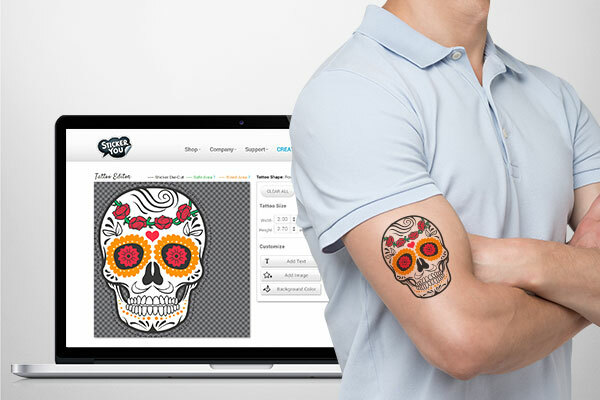 Get (temporarily) inked with StickerYou's custom temporary tattoos.Temporary tattoos are easy to make, easy to apply and a super fun addition to any sporting event, party, or for use as promotional material. 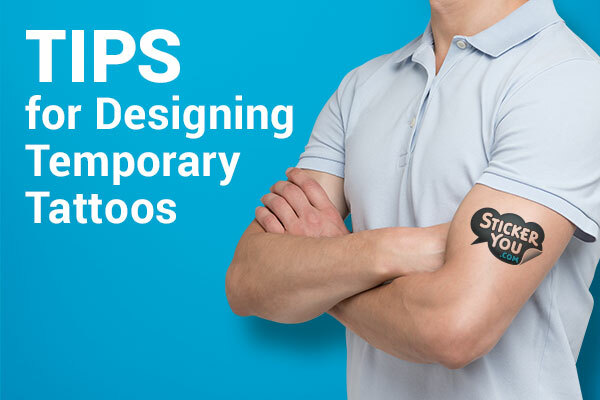 Take into consideration the area you will be applying your temporary tattoos – you should measure out the area you want to put your tattoos to ensure that they will fit the area well. Also keep in mind, if you are printing small tattoos; avoid making your design too detailed so they can be easily enjoyed from a distance! Tattoos are semi-transparent, so this means that colors can slightly change when they are applied to the skin. Try to use either dark or vibrant colors, to ensure they show up well once applied – avoid very light and pastel colors. Orders smaller than 1,000 units cannot be printed with white ink, so keep this in mind! You will want to consider using no white in your design if you are ordering a smaller amount. Our intelligent online editing platform will automatically reverse your artwork before we print, to make sure nothing prints backwards. 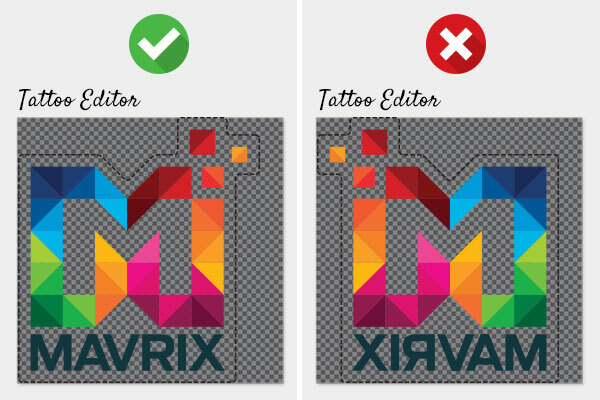 This means you do not need to upload your artwork backwards – unless of course you want your tattoos backwards too! Be sure to clean the skin you're applying your tattoo to with a mild soap or cleanser, we also recommend shaving any hair-dense areas to make sure you get a smooth application! StickerYou’s temporary tattoos are safe for anybody – even kids! 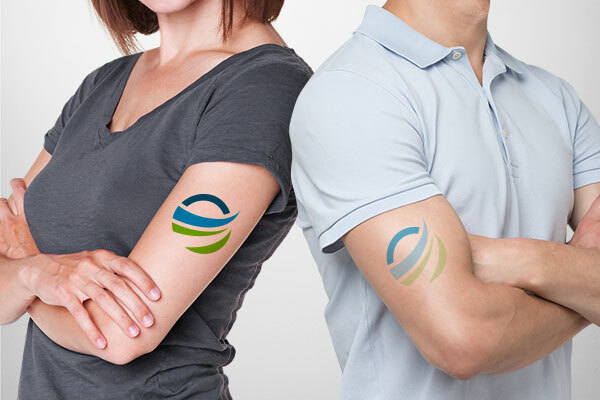 We print our tattoos with FDA approved, non-toxic inks to ensure that they will not upset any sensitive skin. Our temporary tattoos will last 2-3 days, and can be removed using baby oil or rubbing oil and a cloth. Apply your tattoos carefully - we have an instruction guide online to help you out! Curious about our products? Request a free sample pack to try before you buy!